The Arc Flash Personal Protective Equipment (PPE) Category is determined by consulting the PPE tables in article 130.7 of the NFPA 70E standard. PPE categories range from 1 to 4 (with four having the highest incident energy rating and requiring the most protective gear). Remember, PPE should be viewed as the last line of protection. 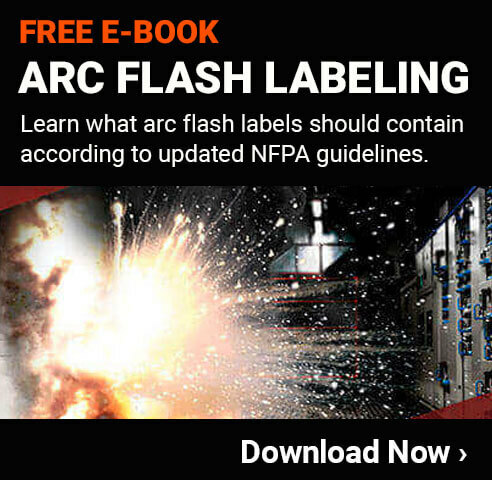 An arc flash is a dangerous electrical event that can result in serious injuries if proper protective measures aren’t taken. People working on electrical equipment where an arc flash could occur need to wear the correct level of PPE, which can include arc-rated clothing, gloves, face shields, hearing protection, and even a hood and flash suit. The types of PPE necessary are determined by what PPE category work falls into. Look at this infographic to learn what the four PPE categories are and what items each category contains.